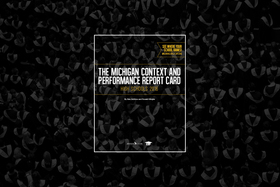 Michigan students’ academic achievement is lagging, and the number of students is declining. When a school repeatedly performs at the lowest level, its students need options for a better school. For that to happen, the state needs an accountability system that provides the most accurate picture possible and is clearly and consistently applied. A good decision starts with good information; this is true for parents and for policymakers alike. Unfortunately, the state’s current Top-to-Bottom rankings depend too much on raw achievement scores. The list, then, tells more about the effects of student poverty than true differences in school quality. As the stakes that accompany these rankings have quickly grown higher, so has the interest in changing how they are compiled. 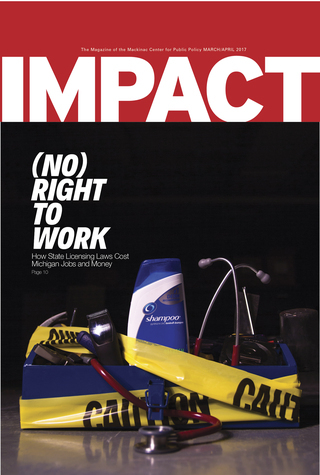 The state of Michigan has never closed a traditional district school for poor performance, but that’s almost certain to change this year. (Chronically failing charter schools shut down automatically under the law.) Some are happy to delay or water down accountability, while others just want to see it done better. 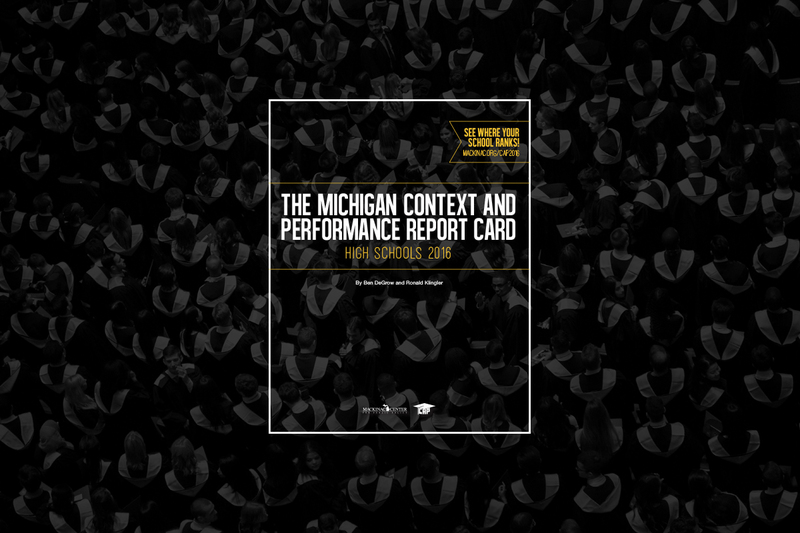 The Mackinac Center’s Public High School Context and Performance Report Card emerged just as the debate on accountability began to heat up. Each year since 2012, the Center has published a report card for either high schools or elementary and middle schools. These report cards highlight the need for a new approach to evaluating schools. The grading formula generates a “CAP” score by comparing a school’s actual performance on several years of state tests to the results we might expect based on the share of low-income students enrolled. Under this metric, many wealthier schools earn a C or lower for falling short of expectations. Our CAP scores can distinguish schools with nearly identical and low poverty rates: For example, Goodrich High School in Genesee County earned a D on our new report card, compared with a solid A for Midland’s H.H. Dow High School. Though high-poverty schools may not have the best raw test scores, the ones that beat the odds typically rise to the top of the Center’s list. Star International Academy, a Dearborn Heights charter school, has finished No. 1 on each of our three high school report cards. Four out of five Star International juniors came from families poor enough to make them eligible for federal lunch subsidies. Yet they got the same test scores — or better — as their peers at numerous schools in wealthier communities. Beating the odds of poverty isn’t everything, especially at the high school level, where students are much closer to reaching the real world. There they will be judged far more on what they know and can do than on where they came from. But low-achieving schools that do a poor job of helping students grow should receive sanctions before high-poverty schools that are making greater progress toward fixed academic goals. On both elementary-school editions of the Center’s report card, Detroit’s high-poverty Thirkell Elementary earned an A for exceeding expectations. Yet it showed up on the state School Reform Office’s January list of 38 chronically failing schools eligible for closure or overhaul. So did Kalamazoo’s Washington Writers’ Academy, which earned a solid C for a CAP grade. In fairness, these schools are exceptions. All but six of the 38 also received a CAP score of an F, even after factoring in poverty rates. The School Reform Office may, under the law, consider “unreasonable hardships” that students may face if their school gets shut down. Namely, the state will seek to ensure there are enough seats available in other, nearby schools to serve those students. Officials may apply similar discretion to the few schools that beat the odds. The SRO faces high-stakes decisions about closing schools and the Michigan Department of Education is updating its school ranking methods. The Legislature, meanwhile, is weighing a possible overhaul of the state’s current failing-schools law. For all these important discussions, our new high school report card arrived just in time.